Two of the hottest devices out there right now come from the same native soil. However, one of them has started to veer away from what it made it appealing to consumers. With the Huawei P30 having an official price of Php36,990, it’s surprising to see how it compares to the Php22,990 of the Xiaomi Mi 9. Both are Chinese phones, but the other has elevated to a whole other level. Let’s see how big the differences are when it comes to features. Which is a better buy between the Xiaomi Mi 9 and Huawei P30? When it comes to design, both the Huawei P30 and Xiaomi Mi 9 sport the same triple camera placement down to the notch size. But if we are to take into account the displays, the latter variant has better support with Corning Gorilla Glass protection for both front and back. But in terms of display quality, both provide deep blacks and vibrant colors. Performance-wise, it’s a matter of preference with the Snapdragon 855 and Kirin 980. Spec-wise, although the P30 supports expandable storage, its nano-memory availability is still scarce at the moment. When it comes to cameras, we have similar setups to compare. As seen in the list above, we have the wide + ultrawide + telephoto configuration for the main cameras. What you want to focus on here is the 48MP main sensor of the Mi 9 vs the 40MP of the P30. Also, the telephoto lens of Huawei offers optical 3x zoom; making it more effective to use. Moving to selfies, it seems like the P30 has the upper hand with a larger and wider 32MP sensor. Unfortunately for the Mi 9, the audio jack is omitted. While the P30 enjoys 32-bit playback support, along with Dolby Atmos sound. The P30 continues to take the lead in the battery department. But when it comes to charging, the M9 offers better and more ways with 27W wired and 20W wireless charging. 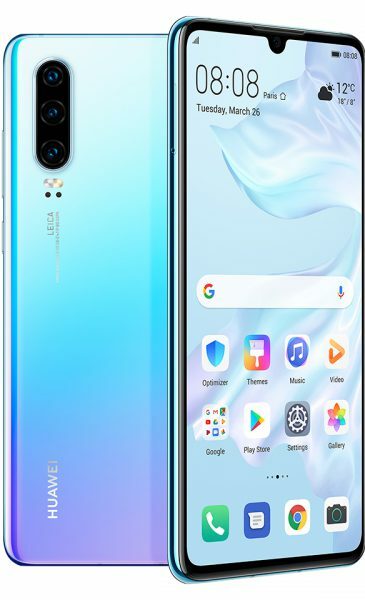 The Huawei P30 (6GB/128GB) starts at Php36,990, while the Xiaomi Mi 9 (6GB/64GB) at Php22,990. Upgrading the storage to 128GB will only set you back at P24,990. Even with the price increase, we are still seeing a flat Php12k gap here; the worth of P30’s extra features. If there’s a definitive feature, like at least 4000mAh and IP68 rating, we could have had a heated debate. But in this case, the Mi 9 just saves you a lot of money without compromising the performance and camera.